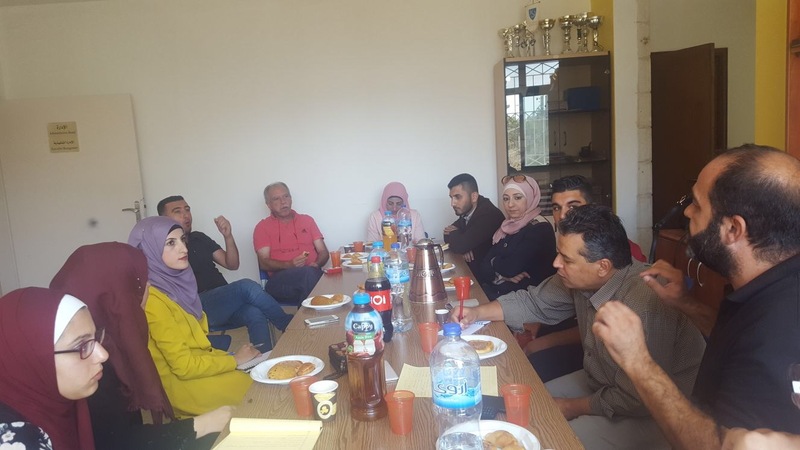 The Center for Development Studies, Birzeit University, held a Palestinian developmental debate and dialogue session in Bethlehem. Ten representatives of grassroots organizations in Aldheshah, Azzah and Aidah camps attended the meeting. The discussion tried to provide a critical and alternative reading for the developmental experience in the refugee camps. Additionally, seven of the project’s MA trainees attended the session. The discussion started with the following question: What does “development” mean in the refugee camps? How can we, as Palestinians, perceive “development” in the refugee camps that are located in Palestine? The lively debate revolved around the following issues: some expressed their rejection of the concept of “development” in the refugee camps entirely because of the fact that the term itself violates the sense of the “temporary situation” the refugee camps must reflect. Ensuing questions were: is it reasonable to seek return after all of the construction? What is the kind of development that a refugee camp needs? These issues looked dangerous to the activists the participants have met. For them, it is complex; On the one hand, refugees are not “beggars”, on the other hand they are only asking for their essential rights since they lost everything during the Nakba. The Palestinian government now constructs streets, builds health clinics and providing different services. 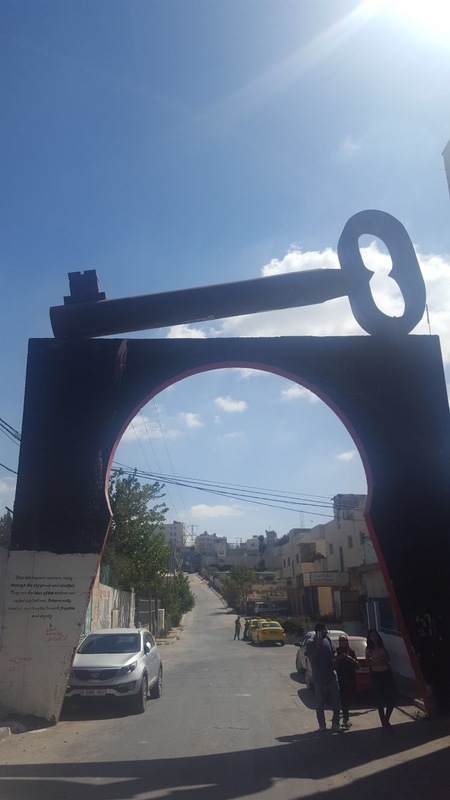 In the camps, this is not the role of the government, rather it’s the role of the UNRWA, and all the means of development have to be only related to it. Moving from tents to concrete houses has affected the lives of the refugees negatively; the refugees had refused the idea of development before since they are aiming to go back to their original villages and cities, and also because development must be connected to a political project. The youth believe that there is a political project in the refugee camps: a project that achieves the right to return. From another perspective; the process of development in the refugee camps, for them, has to do with the way the government sees and deals with the camps. There is a tendency to render the camps into yet another slum in the world. So the mechanisms of developments are meant to improve the lives of the refugees in order to fight these slums. But, do refugees want the development of their exile, or to return? As for the foreign aid policies and the donors’ agendas, the activists reflected that they are aware of all the parties that have agendas, and they are aware enough to shut down any donation with a political agenda that opposes theirs. In an attempt to answer the evident question of ‘what to do?’, the activists believe that it is the organizations’ role to fight against the process of changing the consciousness of the refugees. They concluded that the process of development in the refugee camps has to do with the right to return, otherwise it is not “development”.